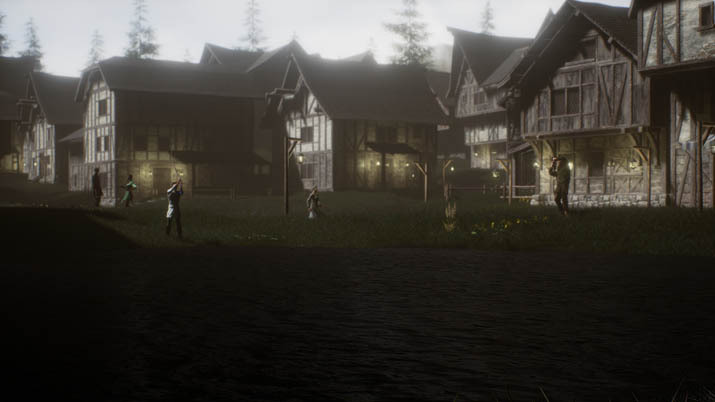 The bar was set high and expectations would naturally follow, the day Endemic Interactive labeled their game, Ashbourne, a non-fantasy, open-world, role-playing experience set in the 15th century. The bar also wasn’t reached, and disappointments would follow: Ashbourne fails to deliver on that promise of a medieval experience so many gamers seek in flocks, and the inspiration the studio might have taken from titles in the likes of The Witcher, Dragon Age, and Skyrim to name a few, ultimately fails to translate into a product that enjoys the same level of depth, charm, and subtlety which make these competitors fantastic games. Players take on the role of Alexander, a knight in the Endewyn Empire. The heart of the problem with Ashbourne is that it lacks polish. You’ll realize this the moment the tutorial begins, as you learn the steps necessary to accessing and manipulating your inventory, to mount your trusty steed, and to locate your castle under attack. Firstly is the clunky gameplay, coupled with an interface as simplistic as it is unresponsive. Then is your horse, the pride of any worthy knight of the Middle Ages, and here, an embarrassment to your ambitious self: closer in scale to a pony, your companion sadly lacks the ability to jump or turn unless it’s already moving. Then are your weapons, which won’t switch manually. At least not when you request it. Which means you’ll find yourself forced to use the bow, at times when the sword would have been the better option, only to find that combat is clunky and unresponsive, and despite a welcomed feature to block, executing attacks is inefficient especially when Alexander swings widely or moves awkwardly. 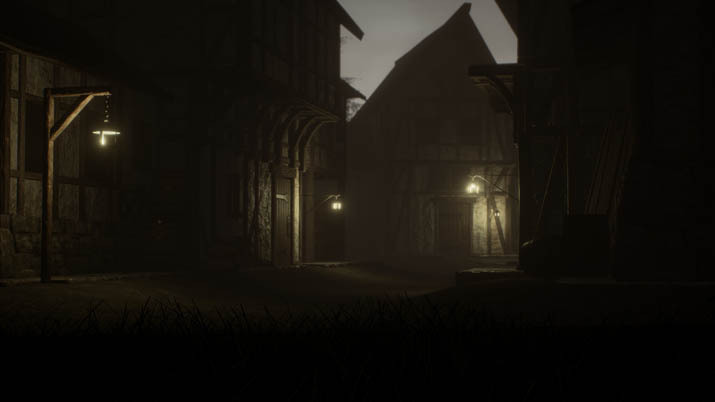 Ashbourne’s settings provided an opportunity to experience the clattering, metallic ring of swords crossed in battle or the steady drone of chatter in a tavern, but you’ll only experience a muted, muffled world. Entering the world itself is a strikingly unpleasant experience: the dark theme, advertised on Steam as "dynamic lightning," is layered to such excess that the game’s very atmosphere is what makes gameplay difficult to take place. I personally couldn’t adjust my monitor’s brightness high enough to navigate efficiently, even in the middle of the day. When the fog rolled in, or darkness fell, it got worse. It became impossible to do basic things like navigate a castle courtyard or stick to a forest path. 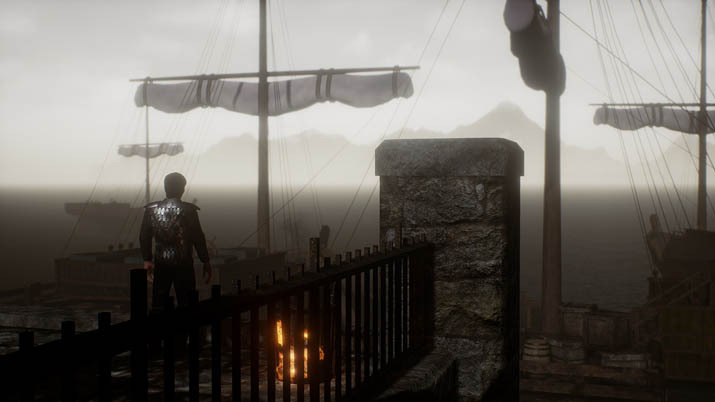 Ashbourne’s lackluster is further exacerbated by the multiple choices driving quest lines that employ most of the basic tropes for a historical setting: castle siege, bandits, assassins, and so on. The colorful language in conversations is amusing, I’ll admit to that much, as it’s refreshing when a title doesn't shy away from cursing, but here again, the game fails to leverage on one quality to build the next: swearing like a sailor doesn’t redeem the lack of depth plaguing Ashbourne’s many dialogues. I countered numerous glitches that required me to quit and restart at previous save points. For example, an early quest required me to speak with an injured enemy soldier, but when I received the prompt to talk to him, I was still on my horse. This situation confused the system, and it wouldn't register me as mounted; the dismount button stopped working, and I had no option other than to reload, given I couldn't complete the next step of re-mounting my mare. I also ran into invisible obstacles numerous times, got caught on the edges of bridges and glitched through the landscape, and got irreversibly stuck on the edges of ponds more than once. Eventually, I started to avoid anything and everything in the landscape that could pose an unexpected hazard for my mount, which hindered the immersion. Another feature of Ashbourne that is supremely frustrating and also seemingly unnecessary is the Save feature. Instead of being able to save whenever I wanted to, or at a checkpoint location, I could only save immediately after completing a quest. If I failed to do so and died, I would respawn at my last save point with all progress lost.